Wow it's been almost a year since I've posted on here. Been pretty busy with the San Juan Update I guess. Anyway, I thought I'd put something up. This is Little Sucia Island, as viewed from Fox Cove on Sucia Island. I woke up on the boat and all bleary eyed before coffee I went up on deck and shot a bunch of photos of the glass calm water. What a gorgeous morning! A little while later as I was paddling my kayak around Little Sucia, cutting through that beautiful blue liquid, I was shouting in my head: "First tracks! I'm making first tracks!" You probably had to be there, or be a skier to get it. But what a great morning it was. Mirror-calm water like this is my favorite. I got the honor of shooting the album cover photo for my friend Tom Henry's new CD. This guy is an amazing guitar player and I jumped at the opportunity to work with him on this (although, I use the term "jumped" loosely - it took us a while to get our schedules aligned so that we could actually do it). 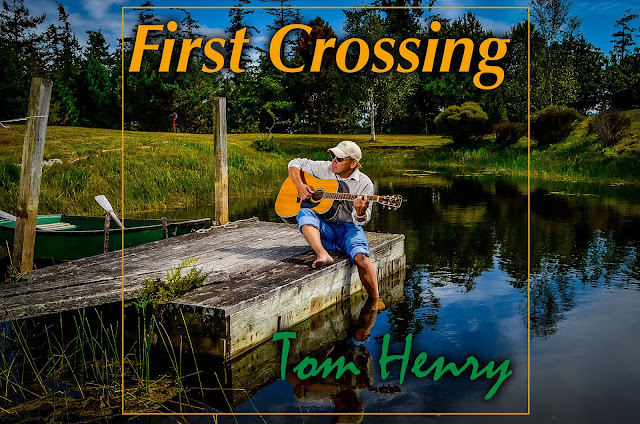 But once we did, we met at his place where he has a beautiful pond in the front yard, with a little dock and rowboat... what a perfect setting for an album called "First Crossing". Shot in nearly direct sunlight (above and right), there were a few wispy clouds, but the light was rather harsh with a couple of speedlights side by side on full power just out of view on the left. This was a fun project to put together. Lots and lots of still frames, all shot at 1 second intervals, then brought all together into a fast paced time lapse video. It's best viewed full screen at full 1080p quality. (and some decent speakers or headphones won't hurt either). Senior portrait time again. This is Vanessa. We had a good time shooting down by the Friday Harbor Marina and got some great shots with the harbor in the background and the ferry in a few. But this is my favorite of the bunch. She made my job easy. Rockin' on G for Go! Just me playing with my guitar, strobes and Photoshop again. 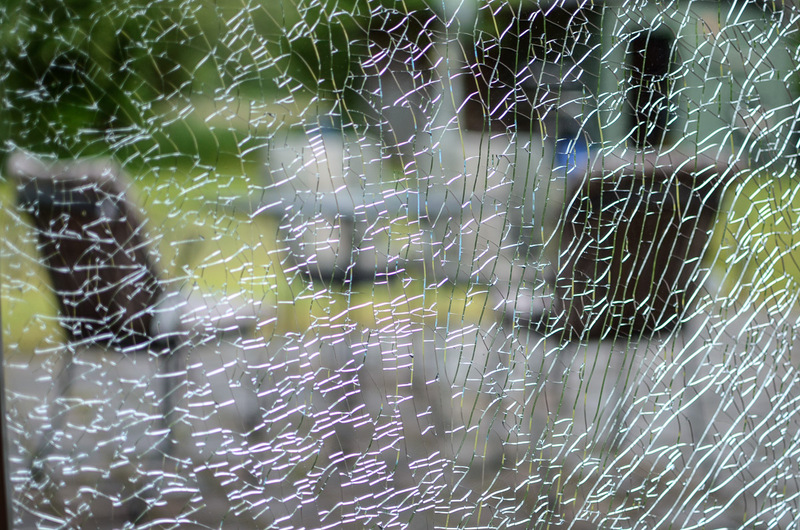 We came home from a walk to town yesterday to find our back door window shattered. It's still in the door and it looks pretty cool but it probably won't last. All it's gonna take is a good wind gust or some unfortunate bird to fly into to it and it's going to be all over the patio. But for now it's fun to look at until we get it replaced.